In the short time we’ve had CR Plastic Products (Canadian Recycled Plastic Products) on our floor, the response has already been incredible. We love the line, and are thrilled that our customers seem to as well! However, there is much more to this company than meets the eye. “In 1994, Jamie Bailey, co-owner and co-founder of C.R. Plastic Products Inc., started manufacturing recycled plastic furniture in an effort to divert used plastic away from landfills, and limit unnecessary felling of trees. His goal was to make a product that would provide the look and warmth of wood, without the typical shortcomings associated with maintaining wood furniture. The proprietary extrusion process discovered, improved & customized by Jamie, produces a unique plastic lumber that won’t mold, rot, splint or crack. The process creates a superior fit and finish, including a beautiful textured-look similar to the grain of wood, and smooth rounded edges for enhanced comfort. With an added automotive-grade, UV stabilizer, each piece is guaranteed to maintain its beautiful colour for years, without the need of staining or painting. 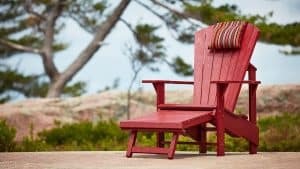 In addition, all the pieces in each collection are made of heavy weight materials that ensure your chairs will not be ending up in the lake or on your neighbour’s deck! 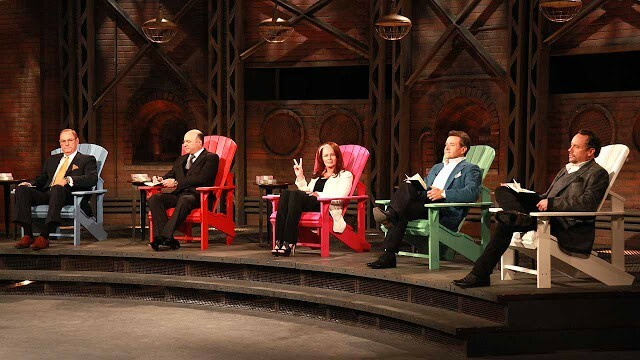 Made in Stratford, Ontario and sold worldwide. 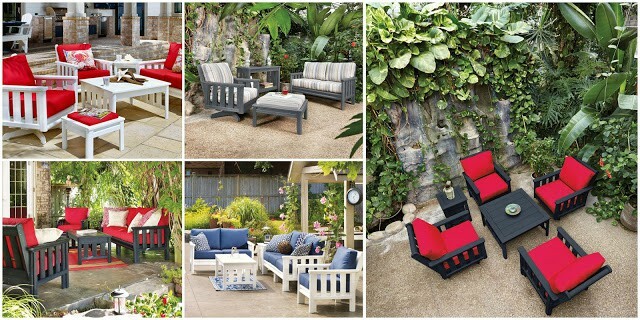 The Generation Adirodack chairs and St. Tropez collection are currently displayed in our back courtyard. Swing by and take a seat to see for yourself just how comfortable and beautiful this line really is… we won’t blame you if you want to lounge around all day! 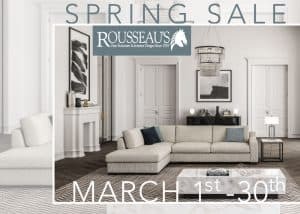 Available for custom order through Rousseau’s!